Not too long ago, Taco Bell added a line of seasoned fries — a first for the fast food company. Because of that unprecedented move, folks were pretty curious to see how Taco Bell's freshman attempt at fries faired against their spud-slinging rivals. 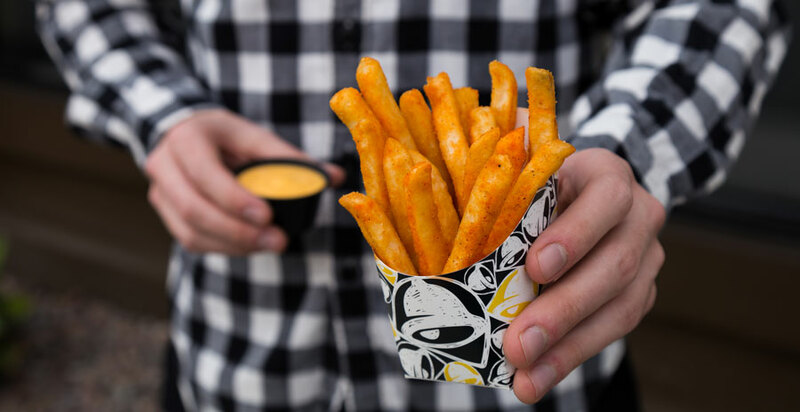 In the end, whether customers liked them or not, Taco Bell's Nacho Fries became the company's most successful launch to date — even beating out the much lauded Doritos Locos Tacos. Since the Jan. 25 launch, more than 53 million orders of Nacho Fries have been placed, totaling 9 million pounds of potatoes and 600,000 gallons of nacho cheese. Over one third of all Taco Bell orders since the Nacho Fries were introduced have included the new item, especially since you can throw the fries on or into pretty much any Taco Bell menu item for an additional 49 cents. Because of their success, the fries will remain on Taco Bell menus through early April. Now here I sit, debating if I want fries in tomorrow's Breakfast Crunchwrap.